I know how to get you playing. I give private lessons including singing, guitar, piano, drums, and bass. If private lessons aren’t an option, I also offer weekly internet lessons through video or Skype. Lessons include my method book, posters and practice packs. It’s simple to learn and well worth it. 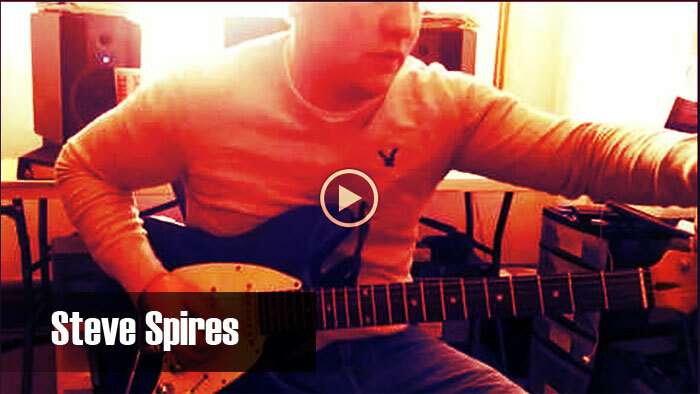 Students taking lessons from me will work on songs & styles from Pop, Rock, Blues and Country. If desired, we can also work on Jazz or seasonal music (ex: Christmas songs). I teach every instrument by ear, music notation, & tab! We will explore all sides of the musical spectrum, so you get the best of all worlds! 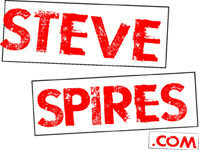 I teach with the aid of my own product line, The Steve Spires Method. This method of teaching music puts an emphasis on rhythm & chording, lead playing, improvisation, harmonized chord­ melody arrangements, and soloing with theory to back it all up! The product line I have created includes: Practice Packs (Play-along tracks to increase your learning), Method Books and Guitar Fretboard Posters. The combination of these learning materials with any of my classes will help you learn to play whether beginning, or continuing your journey as a musician. The Student Jam Sessions are for anyone who wants to attend. Saturday’s 11-2 at the Studio. Cost is $25. First timers get a free 25-page Jam Session Packet. Guitarists, Drummers, Pianists, Bassists are welcome, even if you are not currently taking lessons. I send out notices to confirm the upcoming Jam Session. I have a fully functional recording studio. I do regular recording for students and non-students. For students who have a Practice Pack and would like to record a 3 song Student Album, I charge $30. A good low price, so people can afford to come from A-Z with a finished product for themselves or as gifts!. Learn at your own pace with Virtual Lessons from Steve Spires! Subscribe to Video Lessons and gain access to Steve’s current library of lessons. Get ready to practice as you go along with Steve as he gives you instructions, tips, explanations and demonstrations to help you become a better musician. Stop, skip around, and do the lessons as many times as you want. Your subscription allows you unlimited access to the video library. Access to unlimited virtual lessons is only $35/mo!